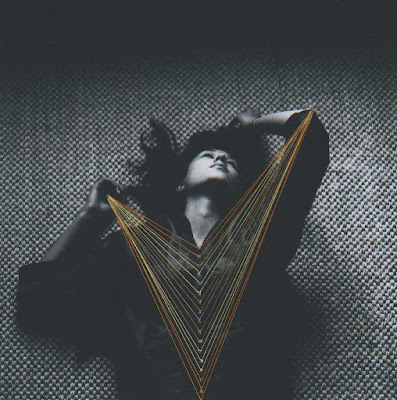 Half Waif turns restlessness and anxiety into something beautiful on form/a. Nandi Rose Plunkett has a lot on her mind. In addition to playing in excellent alt-country band Pinegrove, she's also accumulated enough material for her own synth-pop project Half Waif. Her new EP, form/a (pronounced "form-a"), is the perfect soundtrack to all your late night pondering and wandering. Her actually musicianship appears to draw on a number of influences - her wordy and catchy choruses invoke indie pop superstars Chairlift. In other places, her harmonies call fellow rising artist HANA to mind, while her sense of offbeat theatrics echoes Bjork’s “Hyperballad.” Unlike other synth-pop projects, Plunkett doesn’t bury her voice under mounds of reverb. That voice is powerful and clear as she deals with a turbulent world full of miscommunication and forces pulling her in multiple directions. "Will you listen when I’m talking in my severed logic?" she inquires on opening track “Severed Logic,” wondering if her chaotic environment has pulled apart her ability to speak. On “Magic Trick,” she anxiously asks, “Will you be here in the morning?” after comparing herself to a drifting cloud of fog. Plunkett is at her most aggressive on “Wave,” full of thumping beats as she sings, "I want to leave this world behind but the men are all at war." Here she sums up the conflict that envelops many of us in 2017: It’s tempting to turn off the news and try to ignore the troubles that are burning the world around us, but if we don’t do the work of advocating for justice, nothing will improve. How many times will we create a mess of our world? How many times will we need to clean it up? Will we ever be ok? Have we ever been? About her songwriting, Plunkett once explained, "There's an inherent restlessness in the way that I write and think about sound." This philosophy is exquisitely apparent in both the sounds and words that make up form/a. The songs never stay in one place for long. "Frost Burn” opens up with a lo-fi organ loop before moving to icy minimalism. “Severed Logic” starts out as an airy slowburn before moving into an almost tropical house direction. “Wave” starts with a punishing beat and only heaps on more and more elements. Just when it starts to become dissonant, Plunkett’s harmonies chime in and smooth things over. The idea of hard and soft colliding is evident in the EP’s title, with a harsh slash disrupting the form and the a. Such clashing ideals could have resulted in a jumbled mixed bag of an album, but form/a perfectly holds everything together. With a long schedule on the road ahead of her, it looks like Plunkett will continue to live in impermanence, but form/a will provide people the tranquility she’s searching for. Listen to Half Waif on bandcamp.